By simply offering guests activities and packages that may be of interest to them, accommodation providers have the opportunity to generate a secure and steady income stream, outside of room rental fees. Not only do properties benefit in additional revenue, but it can also serve as an additional platform to build rapport with guests’, enhancing the guests’ experience. It may even help improve your review rating! With excellent commissions, live availability on many tours/activities, exclusive special offers, training and on-going support, this is a no brainer for property managers! If you do not have tour ticketing and want to increase revenue without the associated risk, contact us now! Right now properties located from Cairns to Port Douglas can receive 12-months access to HiRUM Tours powered by TicketMates for Free. 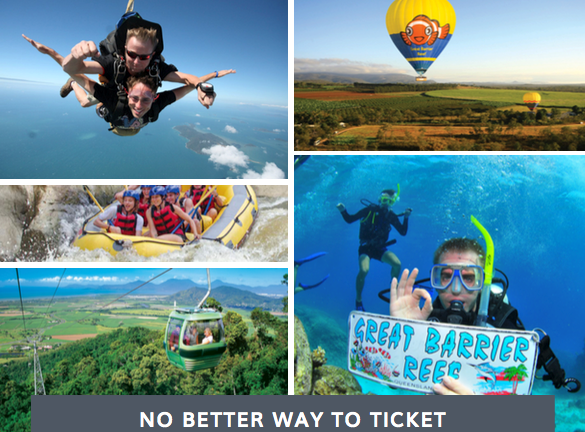 To take advantage of this offer contact your Tropical Nth QLD representative Debra Dominick at debra@ticketmates.com.au by January 31st.